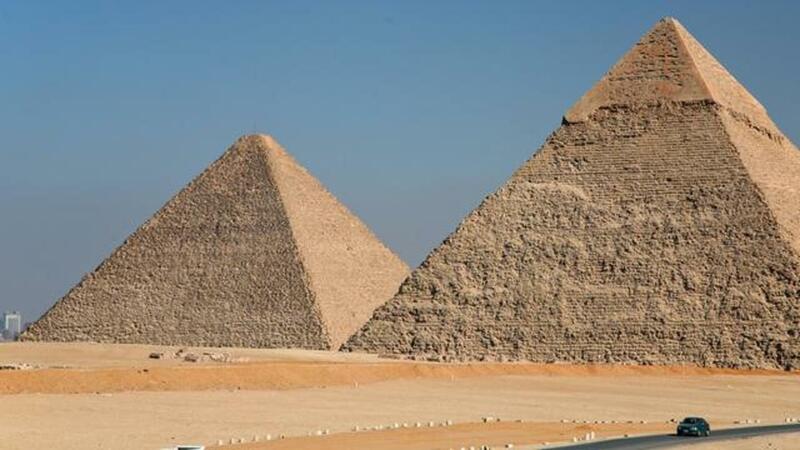 Roughly 4,500 years ago, workers toiled under the hot Egyptian sun to build the Great Pyramid of Giza, a structure that is, to this day, considered one of the world's greatest wonders, notes Science Alert. However, it appears they did a slightly less than perfect job. Experts working for the Ancient Egypt Research Associates and the Glen Dash Research Foundation recently discovered the base is not, technically, square. Measurements taken of the original footprint, which was determined by locating casing stones and initial markers, show the west side out measures the east by about 5.55 inches, notes Atlas Obscura. In the big picture, that's a rather minimal error, and the team is still examining the pyramid data in hopes of learning how such nearly perfect construction was achieved so long ago, according to LiveScience. Glen Dash, the lead researcher, said, "We hope to eventually figure out how the Egyptians laid out the pyramid with such precision and, in doing so, hope to learn much about the tools and technology they had at their disposal."